The project Artists in Collections of Estonia 100 art program “One Hundred Art Landscapes” brings together ten Estonian contemporary artists and (small) museums across Estonia to draw attention to cultural heritage and to provide new ways to interpret it and bridge it to the contemporary time. During the project, artists spend time in residency in a museum, acquainting themselves in depth with its history, development, and day-to-day routines and collections. As a result the artists create temporary interventions in the permanent exhibitions or a novel interpretation of a collection: the artists rearrange the existing permanent exhibition (or interpret the museum’s collections in a different way), adding pieces from collections as well as from their own or someone else’s work. After the opening of the exhibition an educational audience programme is launched and the artists will be available for Q&A, communicate directly with the audience and carry out guided tours of the exhibition. The intervention of the artist may be temporary but if the collaboration is especially successful it can also be permanent. Artist’s spin offers another point of view and an addition to those stories that the museum has decided to tell through its collections and exhibitions. The collaborating museums have the opportunity to discuss the challenges the museum is facing by entering into a dialogue with the artist and organizing team, the project provides new ideas and contacts for further endeavors; the artists in turn have gained experience working further away from the usual art world context and have got to know one museum in its natural environment. 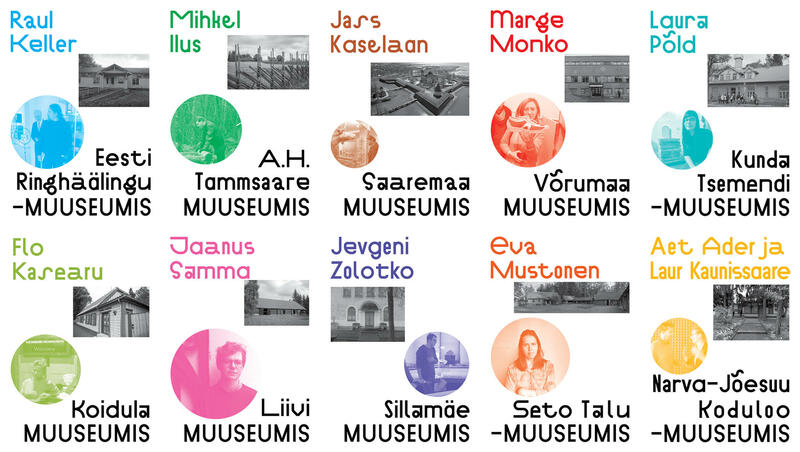 Projects in which artists are working with museum collections or archives is a rather common practice in contemporary art worldwide but for Estonia this project is the first initiative of this scale to create new ties between the world of art and museums. The project is led by proloogkool, a self-organized platform that brings together contemporary art and nonformal education. Project managers are art historians Maarin Ektermann and Mary-Ann Talvistu (Kumu Art Museum), graphic designer is Viktor Gurov.